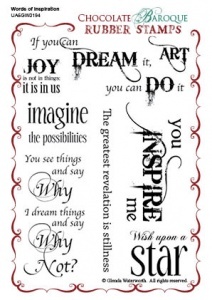 This rubber stamp set contains a series of words, phrases and sentiments all with an inspirational theme. 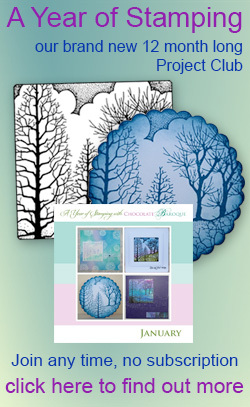 Great stamp for adding to card inserts, journaling and scrapbook projects. I purchased this stamp set when it was Stamp of the Week and have not regretted it for one minute. It is such a useful set and it stamps so clear and sharp. It has become one of my favourite go to sets. 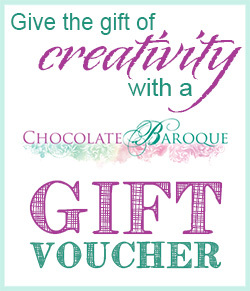 I have even started using it for Christmas using the word Joy... Excellent stamp set!!! I have a weakness for words and this sheet fills the bill to keep handy for cares. I love finding different phrases for my cards and these fit the bill a treat. Thanks Glenda. 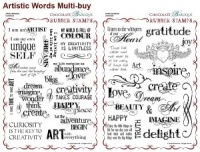 A great set of phrases, with the quality we know we will get from Chocolate Baroque stamps. Nicely spaced out too, so not difficult to separate when you cut the sheet up- it really bugs me when parts of different words/phrases are too close together, makes it hard to get a clean edge.